Many old Western-style houses, built between late in the 19th century and at the beginning of the 20th century, stand in the vicinity of Kitano-cho and Yamamoto-dori, Kobe City. Thirty-four old houses in Western-style and seven in Japanese-style are well preserved in this area, which is designated as Important Preservation Districts for Groups of Traditional Buildings by the Japanese government. Japan, which opened five ports including Kobe to start the trade with Western countries at the inception of modernization in the middle of the 19th century. In concert with this, many Western business men were settled in Kobe, particularly in the vicinity of Kitano-cho and Yamamoto-dori, commanding beautiful Kobe Port. This area was one of the busiest residential areas in Japan for non-Japanese people. 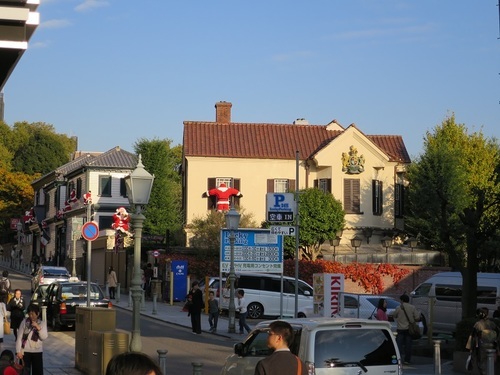 As these old houses fortunately survived the second World War, the Western-style townscape at the foot of Mt.Rokko creates an elegant atmosphere of former Kobe.